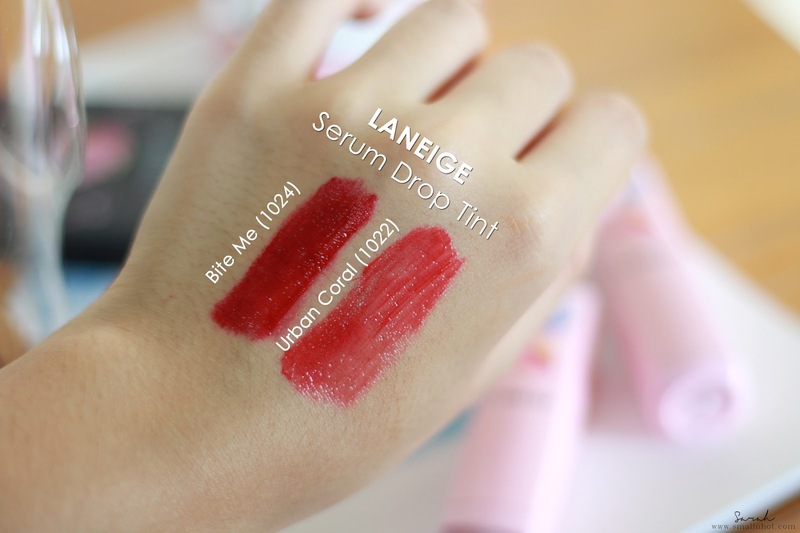 LANEIGE Serum Drop Tint (Urban Coral & Bite Me) - K-Beauty Makeup Goals ? Laneige Serum Drop Tint, the tint expresses glass bead shine and vivid color on the lips with its ingredient of rich oil serum. 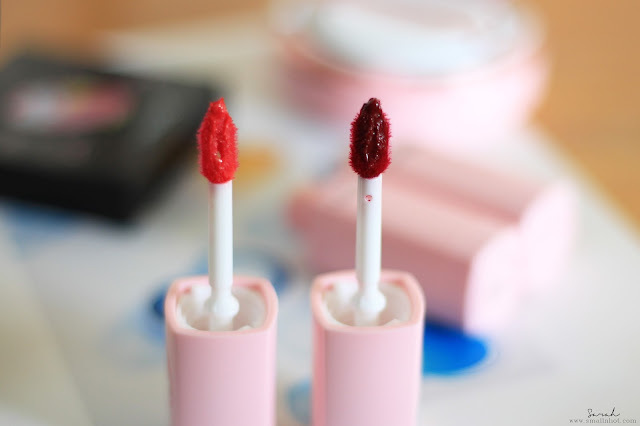 It softly adds vitality to dry lips with Berry Mix COMPLEX. Displays vivid color as strong moisturizing oil particles and pigment are included in the water tint. 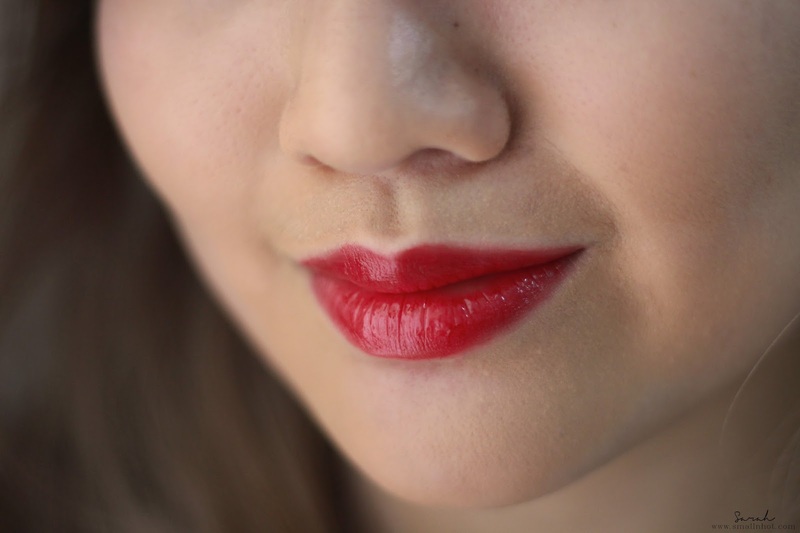 You'll LIKE it if you have dry lips and enjoy a moisturizing liquid lipstick because it has the pigment of a liquid lipstick and hydrating power of a lip balm. 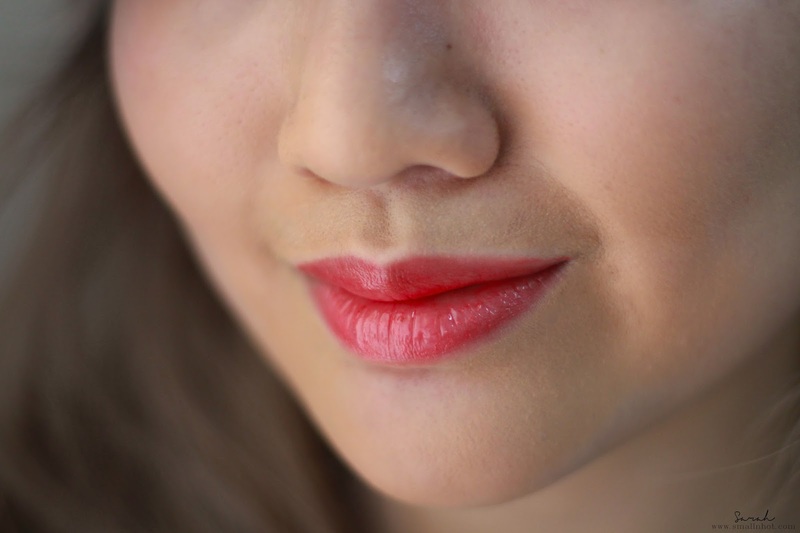 You'll HATE it if glossy lip tint is not your cup of tea and having a limited color selection. 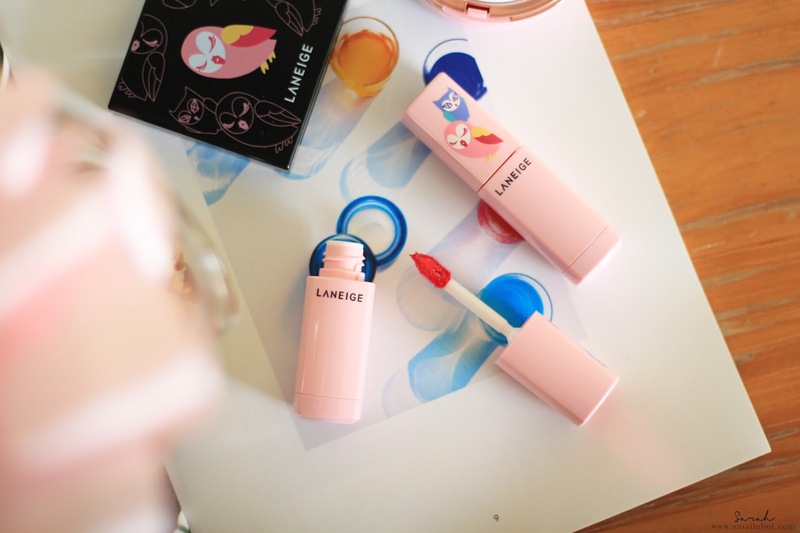 Design-wise, LANEIGE Serum Drop Tint comes with a small dopher applicator that you can easily get into the corner of your lips and cupid bow with no problems. Also it has the size of a normal lipstick, so you'll won't have trouble fitting it into your makeup bag or clutch and touch up as you go throughout the day. At first swatch, the Serum Drop Tint was very pigmented and creamy which is very much different from the typical k-beauty lip tint. In my opinion, it has a really great texture, creamy colors with a great balance of moisture and pigment. I would say LANEIGE Serum Drop Tint is somewhere in the middle between liquid lipstick, lip balm and lip gloss because it has a liquid lipstick kind of application, lip balm kind of hydration to the lips and lastly lip gloss-like finishing. These paint on completely opaque with just one coat and smell yummy like berries. Urban Coral (1022) is a classic coral red that you can't go wrong with, perfect for spring and summer. As for autumn and winter, you can lean towards the Bite Me (1024) because it has a lovely autumnal deep berry color. The only downside that I have noticed with these Serum Drop Tint is the color selection. It only comes in 10 different shades and all of it are either very pinkish or red, if they'd included some neutral colors into the selection now that would be fantastic!. Other than that, the lasting power is also a bummer because the glass bead-shine will just transfer when you eat or drink, leaving your lips with just a fade of color. Overall, if you are not sure whether to go for a lip balm or lipstick or lip gloss, I think this LANEIGE Serum Drop Tint would be a good option to go with. It has a great pigment and hydration which is amazing! The Serum Drop Tint is retailed at RM 75 at LANEIGE Boutique and beauty counters.